Rove NRB: not UCI compliant. Credit: Geoff Waugh. Stepping away from UCI rules and regulations takes us to the Rove range. The big news here is the introduction of the Rove NRB, an alloy frame/carbon fork 650b chameleon of a bike with an RRP of £1599. Shipping with 47c WTB Horizon tyres, you could be forgiven for thinking this was a beach cruiser or a fat road bike, but the flared bars attest to its off road intentions, and its price point puts it competing strongly against other bikes I’ve tested, such as the NS RAG+ and Kinesis Tripster AT. On the road is not too much of a drag, and it doesn’t feel like an alloy bike. Credit: Geoff Waugh. Set up tubeless – the bike ships with tubeless ready wheels and tyres – the NRB cruises along the road at a decent lick. Rough tarmac or patchy roads go unnoticed, and the ride quality is not what many might expect from an aluminium frame. It’s super comfortable to ride, and hard to imagine you’d ever find yourself with aching hands. If only commutes looked like this. Credit: Geoff Waugh. Road Plus? Gravel Slick? Credit: Geoff Waugh. Put your foot down and you’ll not get the same acceleration you get with a road bike, but aside perhaps from on steep climbs, don’t expect to be dropped from your Sunday club ride, and your commute to work need not be a drag. In fact, the high volume tyres maintain momentum over rougher roads nicely. Even if you’ve no intentions of heading off road, as a commuter bike for navigating potholes and road ironworks, this is worth a look for its comfort. Plenty of clearance. Credit: Geoff Waugh. This bike is very forgiving of line choice. Credit: Geoff Waugh. Dive off road however and it really starts to show its capabilities. Super stable and planted, you can tackle surprising terrain at surprising speed, and those tyres really absorb the bumps – including landing those bunny hops you’ll probably find yourself doing on this bike. The photographer wasn’t with us for the wildest of sections, so you’ll just have to take my word for it that I was confidently getting air and clearing rocks while out on the Rove NRB. Cable routing is simple. Credit: Geoff Waugh. In the dry conditions we had to try out this bike it never felt squirrely, with the tyres offering surprising amounts of traction. It would be very interesting to see how they perform in different types of wet conditions – though with Kona’s North American base you’d assume there’s been some wet weather testing prior to production [Tech Ed Tom here – I’ve used the WTB Horizons extensively in the UK. They are are great wet weather road tyre, and are surprisingly capable in mud… but are a long way from my first choice for anything other than dry tracks and trails. I’d be looking to budget in a second set of rubber if off-road exploring was on the cards for the Rove]. Off road is where this bike really impresses. Credit: Geoff Waugh. The Rove NRB is easy to ride, easy to push hard, and stays balanced throughout. That’s not to say it’s boring – you can finesse your way through lines and it’s plenty playful for those that don’t just want a safe pair of wheels under them. Spot the weld – it’s a two piece yolk. Credit: Geoff Waugh. Away from the fun and onto the practical, you can fit full mudguards with those 47c tyres, plus a rear rack should you choose to do so (and the fittings are offset to help with this). 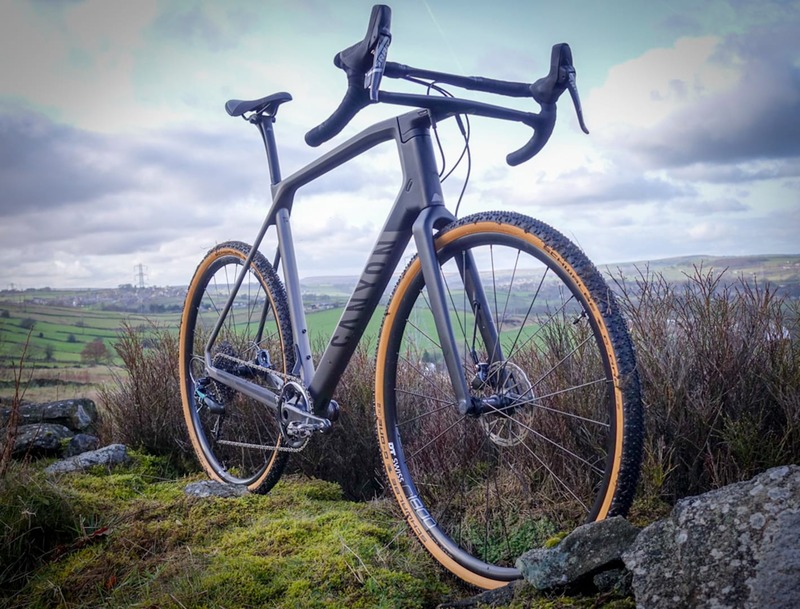 Potentially this is a great all round bike for road commutes and weekend adventures alike (though possibly with another set of tyres for wet off road forays). Designed and specced to be competitive in the market, the NRB comes equipped with Tiagra. I didn’t find this as smooth and sweet to use as, say, SRAM Apex, but it’s still a very functional groupset. In my experience, there is clear water between the Sora and Tiagra groupsets, but for the money, there is less of a difference between Tiagra and 105. If you want to go 1x, there’s plenty of scope to do that, and you can go up to a 48T single chainring (if you have the thighs for that!). For this year, only the steel Rove NRB LTD (see below) will be 1x, but we expect to see this change in future model years as the price of 1x drops and the market becomes more accustomed to it. In order to get the shape and clearance required to run 1x, 2x and those fat tyres, Kona has opted for a two piece welded bottom bracket yolk. 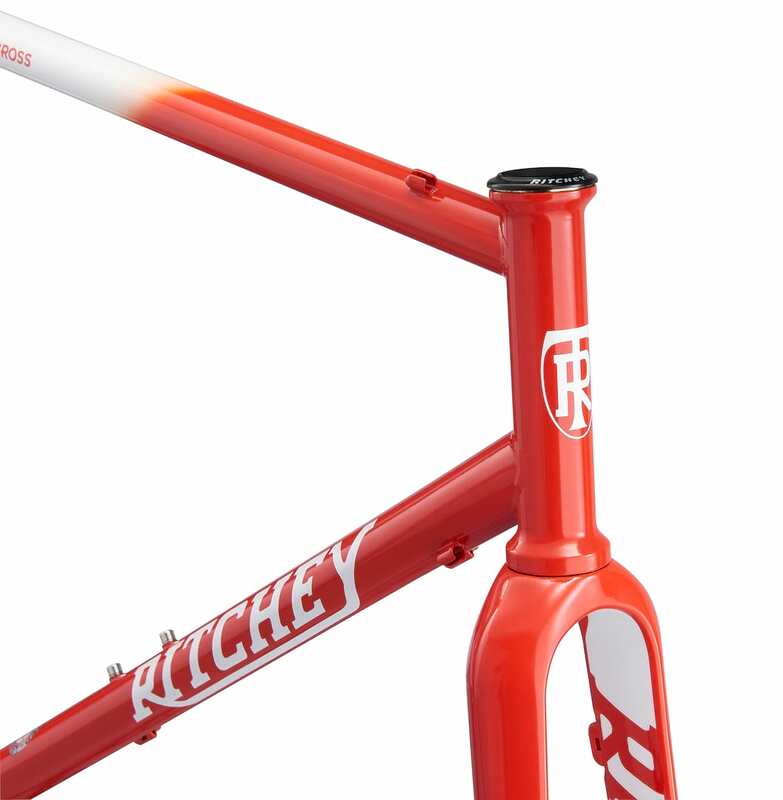 This gives them a bike that doesn’t have the dropped or kinked chainstay you’ll have seen on many other brands trying to achieve similar geometry bikes. Nice graphic detailing. Credit: Geoff Waugh. There’s also the Rove DL, RRP £1,999, which steps up the Shimano groupset to Ultegra level and with an 11 speed cassette gives you a few more gears to choose from (though remains 2x with a 34/50T crankset) and adds hydraulic brakes to the mix. It’s worth noting that these models add to the existing alloy Rove and Rove DL models, which have 700C tyres. The new NRB, NRB DL and LTD models include tapered headtubes with internal headsets, while the other alloy models and the steel Rove ST (another continuing 700C model) have external headsets. One for the steel fans. Credit: Geoff Waugh. Could it be any smoother than the Rove NRB? Credit: Geoff Waugh. Also in the Rove range is the Rove LTD – a steel version of the 650b Rove, costing £3,499. It’s very pretty (although I admit I have a general weakness for steel bike aesthetics). I didn’t get chance to give one of these a test, but it’s hard to imagine how it could feel any smoother than the alloy NRB. This comes fitted with the same carbon fork as the Jake cx bikes. If all over steel is what you’re after, then there’s the Rove ST, which is in the more traditional 700C set up. Comes with steel fork and 700C wheels. Credit: Geoff Waugh. The Rove ST has had an update for this year to give it thru-axles (100x12mm front and 142x12mm rear), flat mount brakes and a 1x drivetrain. With its 700c wheels, it’s not as eye catching the the NRB but does offer that classic steel aesthetic for those that like that sort of thing. Which I do. This is the face of one who has just got a pinch flat! Credit: Geoff Waugh. Despite its steel frame, it’s not super smooth to ride and you’ll feel that road chatter in your hands more than you might expect if you’re running your pressures high. But really to get the best out of this bike you need to be going tubeless (my test bike wasn’t, hence the picture above!) and lowering those pressures. This makes the bike much more forgiving, and less flighty on rough terrain. It’s no monster truck however, and you should expect to be choosing lines rather than blasting downhill. Hit something too hard and you may well find yourself getting quite a jolt. Get your set up and lines right however, and it’s plenty of fun to ride, wherever the mood takes you – whether that’s the pub and back, or over the hills and far away. Gratuitous sunset shot. Credit: Geoff Waugh. The bikes I rode displayed no weird quirks or foibles – you just hop aboard and get pedalling. And bunny hopping. And descending. And generally just seeing what you can do. I found the ride position and fit of the Rove ST and Rove NRB to be comfortable, with enough flexibility in there for further adjustment for those that might want to go more or less aggressive. The Rove ST feels like a very different bike to the Rove NRB. I really like the 1x set up of the ST and it feels like a bike you could use and abuse. But I loved the ride quality of the NRB. And then the ST just sneaks in at £200 less than the NRB (and has stock tyres that will probably be a touch more mud friendly). Honestly, I’m torn between the two – they’ve both got merits, but for ride quality the NRB probably just clinches it for me. Rove ST on the right, Sutra LTD on the left. Credit: Geoff Waugh. If you’re really looking to head for the hills and you’re not sure where you’ll end up, while I think that Rove NRB would do a very good job of getting you there, you might want to look at the even more ‘ride anything’ Sutra. Head here for a look. For a look at the Sutra range, head here. What bottle cages are shown in the pictures?